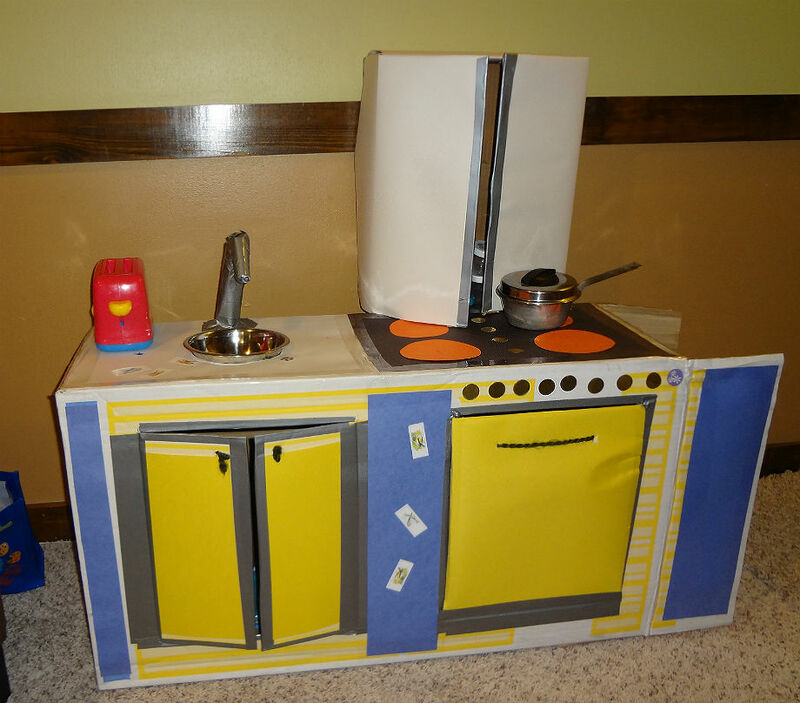 This entry was posted in Blogging, DIY Crafts and tagged Blog, Cardboard box, cardboard engine, cardboard train, diy, DIY Crafts, Matsumoto Castle, play kitchen, Summer Reading Challenge, toys, Train, Upunushu by Cathy O. Bookmark the permalink. They still are in pretty good shape after a year! They are still in one piece which is a feat in itself! That’s great that they still play with them! It doesn’t take a lot of money to have fun! Yes, I know it could be MUCH worse. 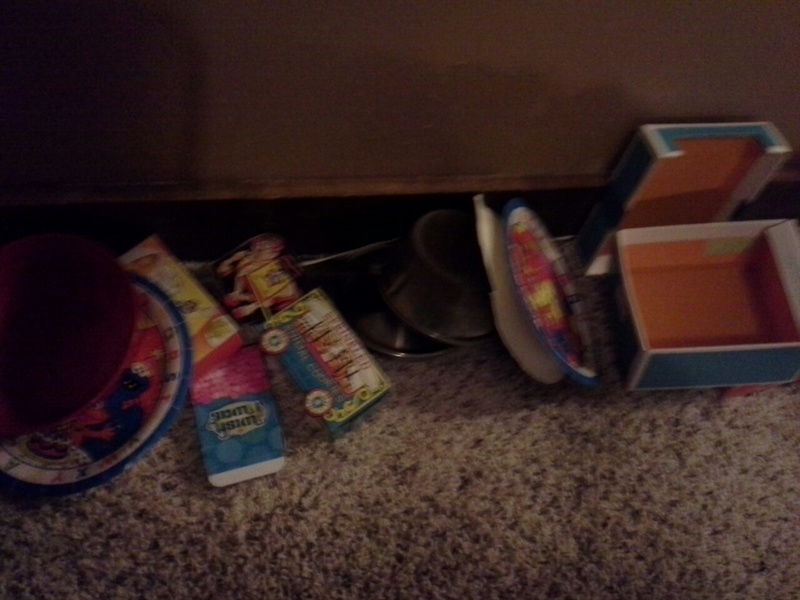 My kids are pretty good with things, though my son is into chucking toys around! I am so impressed with your cardboard crafting skills! 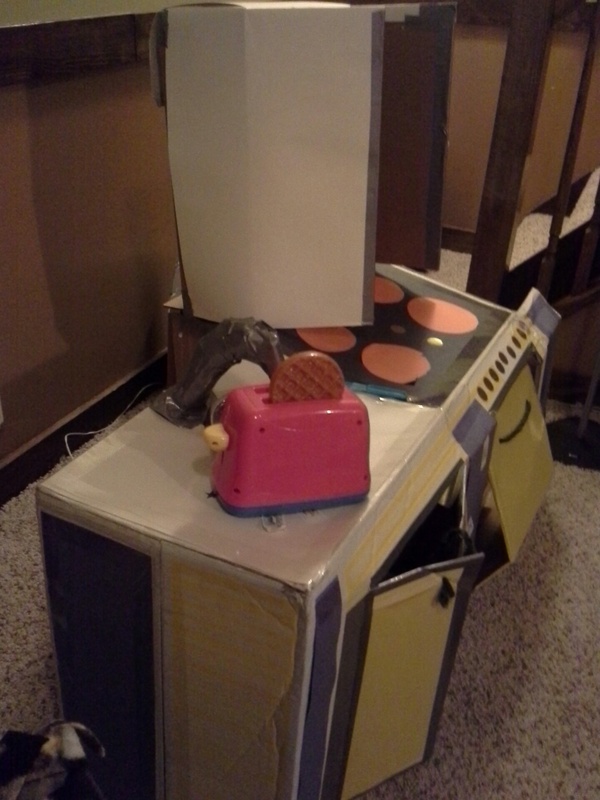 Either your kids are very gentle children, or you are a master with a cardboard box and duct tape. 🙂 I am not the “crafty” type, though I’d like to be. I clicked over to check out the cardboard letters (awesome!) and the egg cartons and box cars (super fun!) and of course the castle (Holy Smokes! ), but I am instantly intimidated by all the steps. Haha! 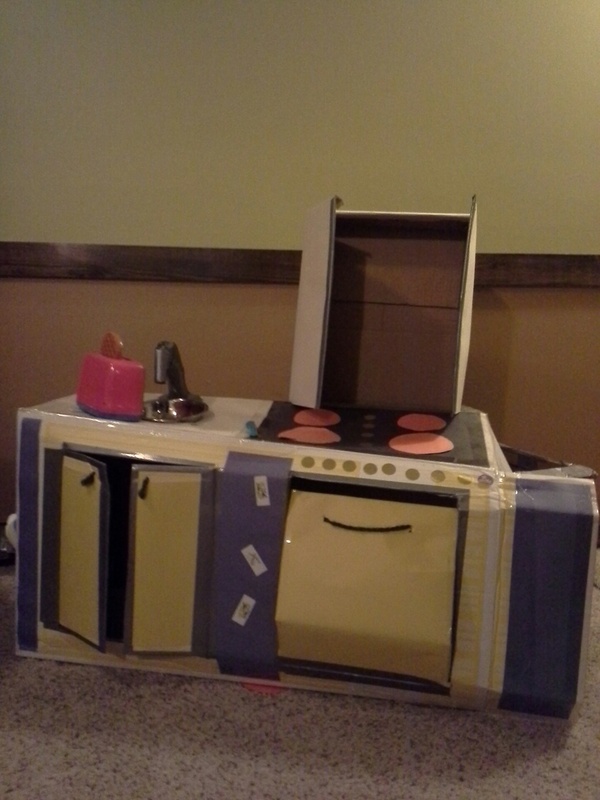 I’d probably be better off giving the kids a cardboard box and letting them create something! Thanks! And yes, I used A LOT of duct tape! I have tried just putting my kids in a box and letting them color, but they haven’t been into it. As they say, try, try, and try again! Thanks! I patched up the kitchen with some more tape, though my almost 2 year old is ripping off the paper on the “counter.” We’ll get some more use from them!